This is a photograph taken probably sometime in the 1950’s or 1960’s I think. 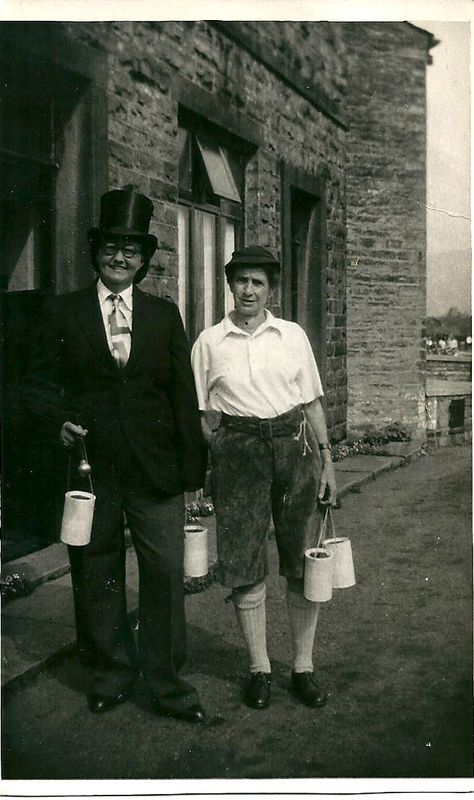 The woman in the long “short’ pants is my great aunt Jessie Brown (nee Hurtley). I can’t be sure but I believe the picture was probably taken at the time of the Cononley Gala. They are carrying collecting tins and are no doubt intent on fleecing gala visitors of their hard earned cash!!! Cononley is a small village in Airedale, Yorkshire about three miles south of Skipton. The village is an important place in my family history. During his childhood my dad spent many happy times here staying with his aunts and uncles. Here is a link to the Cononley Village Website. The 2012 village gala was held yesterday and you can see photographs from last year on the website. Allen Simpson is my 1st cousin 1x removed. In other words he is my dad’s cousin. Our common ancestors are James Dawson and Emma Buckley, my great grandparents. 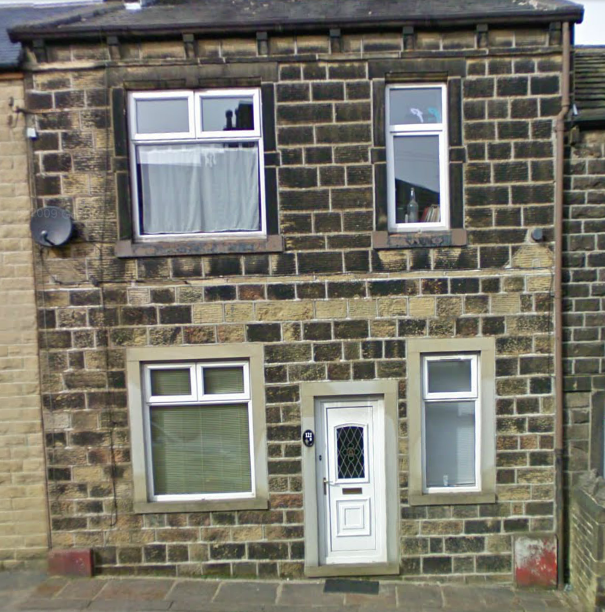 Allen was born sometime in Q3 of 1923 in Keighley, West Yorkshire to parents Alfred Simpson and Annie Dawson. 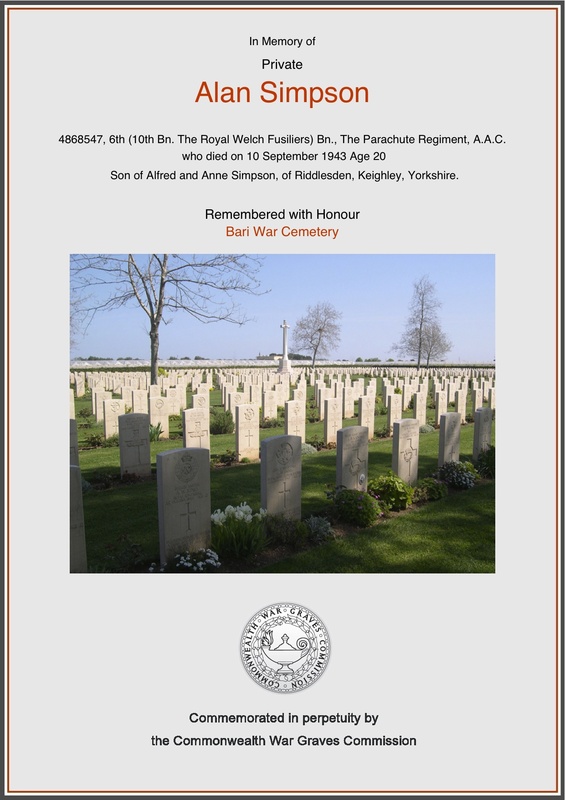 As far as I can tell from the Commonwealth War Graves Commission (CWGC) website Allen served as a Private in The Parachute Regiment, AAC. He was assigned to the 6th (10th Bn. The Royal Welch Fusiliers) Battalion – see this in Wikipedia. His service number was 4868547. Allen would have been involved in the Allied invasion of Italy at the beginning of September 1943. Allen’s date of death is given as 10 September 1943. And although I haven’t been able to prove this conclusively I believe he died during Operation Slapstick. This was the code name for a British landing from the sea at the Italian port of Taranto. The only casualties in the landing occurred on 10 September when HMS Abdiel, while maneuvering alongside the dock, struck a mine and sank. There were 58 killed and 154 wounded from Allen’s battalion and 48 from the Abdiel’s crew. I haven’t been able to find a list of casualties from the Welch Fusiliers but I found this Special Forces Roll of Honour which lists Allen as a casualty of the sinking of HMS Abdiel in Taranto Harbour. Allen is buried in Bari War Cemetery in Italy – his grave reference is II.B.24. Incidentally his name is recorded as Allen in the GRO birth records and as Alan on the CWGC website. The following information is from the CWGC. The site of Bari War Cemetery was chosen in November 1943. There was no serious fighting in the vicinity of the town, which was the Army Group headquarters during the early stages of the Italian campaign, but it continued to be an important supply base and hospital centre, with the 98th General Hospital stationed there from October 1943 until the end of the war. At various times, six other general hospitals were stationed at Trani and Barletta, about 48 km away. Besides garrison and hospital burials, the cemetery contains graves brought in from a wide area of south-eastern Italy, from the ‘heel’ right up to the ‘spur’. Here too are buried men who died in two disastrous explosions in the harbour at Bari, when ammunition ships exploded in December 1943 (during a German air raid) and April 1945. Bari War Cemetery contains 2,128 Commonwealth burials of the Second World War, 170 of them unidentified. There are also some non war burials and war graves of other nationalities. The cemetery also contains 85 First World War burials, brought in from Brindisi Communal Cemetery in 1981. Most of these burials are of officers and men of the Adriatic drifter fleet which had close associations with Brindisi during the First World War. Here’s the certificate that you can obtain from the CWGC website. Thomas William Paley is my 2nd cousin 2x removed. Our common ancestors are William Paley and Mary Blackey my 3x great grandparents. He was born sometime in the June quarter of 1892 to parents William Paley and Olive Sexton. In the 1911 census Thomas was working on the family farm (Oakhurst Farm) at Moortown in Leeds, West Yorkshire. Almost three and half years later, on 30 September 1914, Thomas enlisted in The Yorkshire Regiment at the recruiting office in Leeds – his service number is 15159. Fortunately I have been able to find his service records at www.ancestry.co.uk. Thomas is described as 5ft 9ins tall and weighed 142lbs. He had brown eyes and brown hair. His physical development is recorded as good and he was considered fit for the army. I’m not sure exactly what happened after that because just over three weeks later, on 25 October 1914, Thomas was discharged on the grounds that he was ‘not likely to become an efficient soldier’. I can see from his service records that he was discharged under King’s Regulations 392 and what then looks like subsection iii vii. This link to The Long, Long Trail website explains about King’s Regulations 392. If my interpretation from his service records is correct, then it seems like he was discharged because he was ‘considered to be physically unfit for the ranks’. Here’s the extract from his service records – what do you think? Despite his very short time in the army I am still incredibly proud of Thomas as he was prepared to enlist and serve his country. 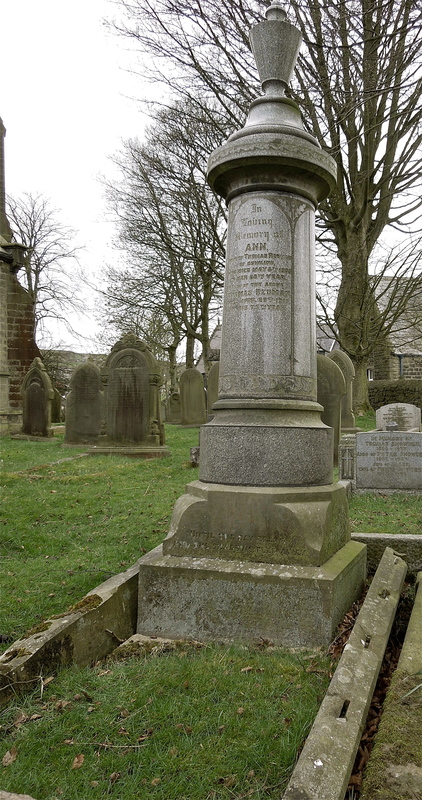 I took this photograph on a recent visit to the Cowling Hill Baptist chapel graveyard in Cowling, West Yorkshire. The grave is the resting place of Thomas Dawson (my 1st cousin 4x removed), his wife Jane (nee Emmott) and their son Watson Emmott Dawson. 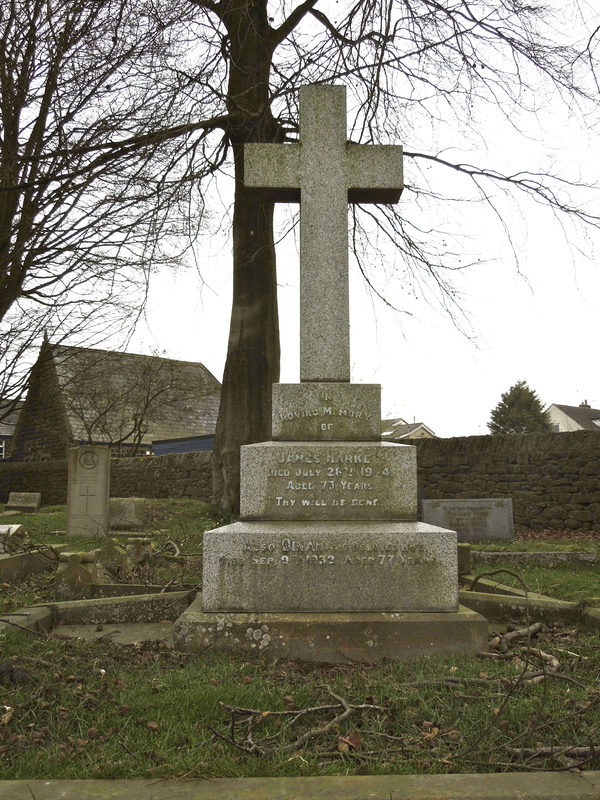 Thomas was born in Cowling in 1851 to parents John Dawson and Elizabeth Benson. The census returns show that Thomas worked as a warp dresser, a worsted weaving overlooker and also an engine tenter in a local factory. In 1911 he was working as a farmer. 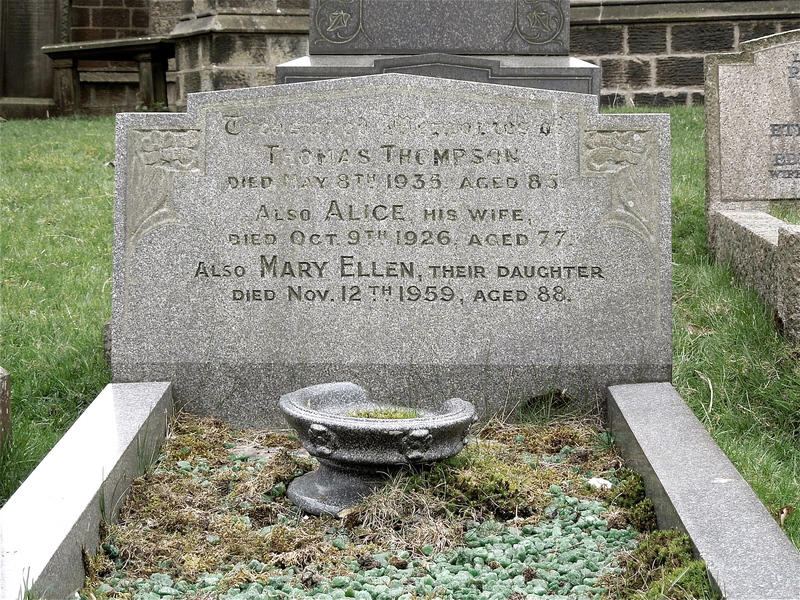 Sometime in Q1 of 1877 Thomas married Jane Emmott, also from Cowling. 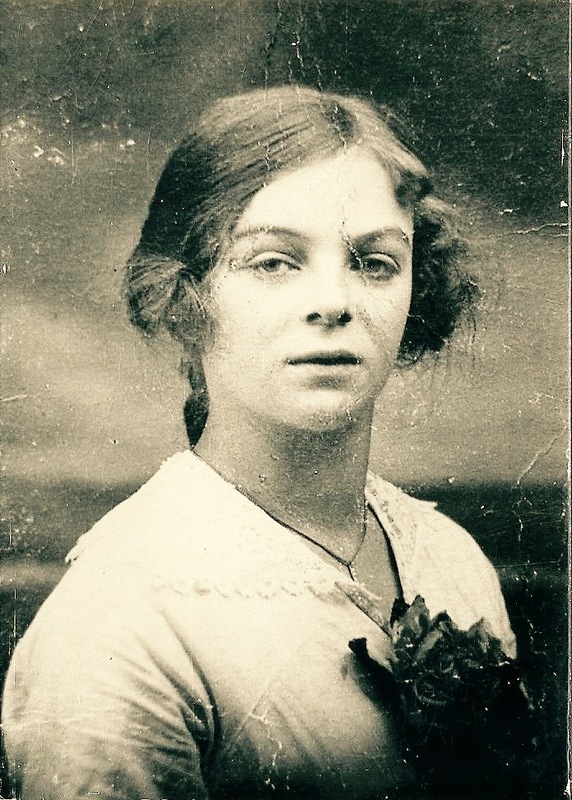 I haven’t done any research on Jane yet so have no information about her family. Although the Emmott family name has a long tradition in and around Cowling. If you follow the link above you will see that I wrote about Watson Emmott in a recent Military Monday post. 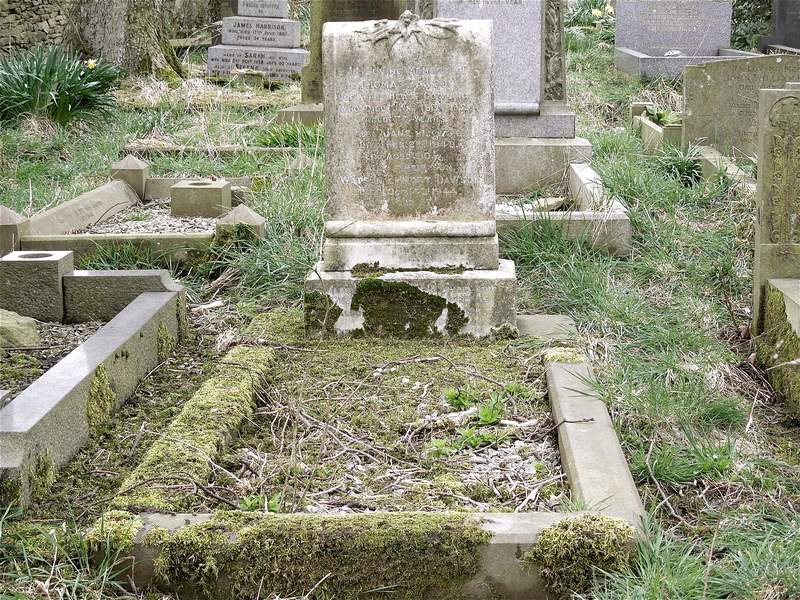 Thomas died on 18 January 1926 at the age of 74 and Jane died aged 90 on 2 February 1949. In between their deaths Watson Emmott passed away at the age of 57 on 14 October 1944.